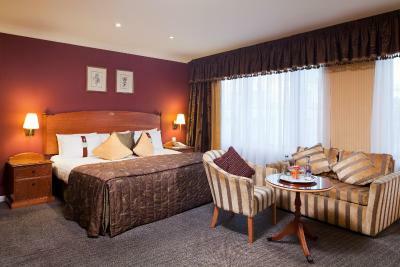 Lock in a great price for Holiday Inn London Mayfair - rated 8 by recent guests. Excellent location a few minutes from Picadilly near Ritz hotel. Friendly helpful staff. Good room size for a central London hotel, well equipped room. The hotel position was simply Fantastic! Very near to Piccadilly square and Buckingham palace. Breakfast very good! Bed comfy. Location excellent less than 2 mins walk to green park tube station. Staff very friendly and helpful. Very clean.. Breakfast excellent, good choice. Nice and clean room, comfortable beds. Very friendly staff. Great location. Highly reccommended. Bed was fantastic and the room in general and the reception staff were friendly and very helpful. I had a fabulous time. One of our top picks in London.On the corner of Piccadilly and Berkeley Street, Holiday Inn Mayfair is in London’s premier hotel district. 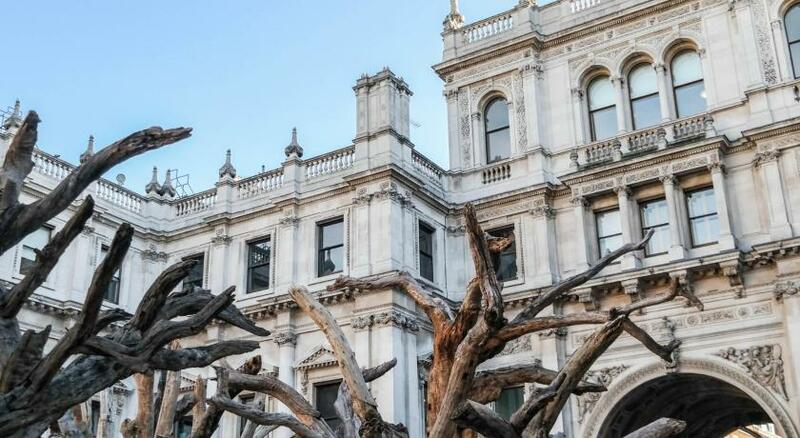 Green Park, Regent Street and West End glamour are all within a few minutes’ walk. Rooms at this elegant hotel are air conditioned and all feature a TV with satellite channels and pay movies, a minibar and an individual private bathroom. 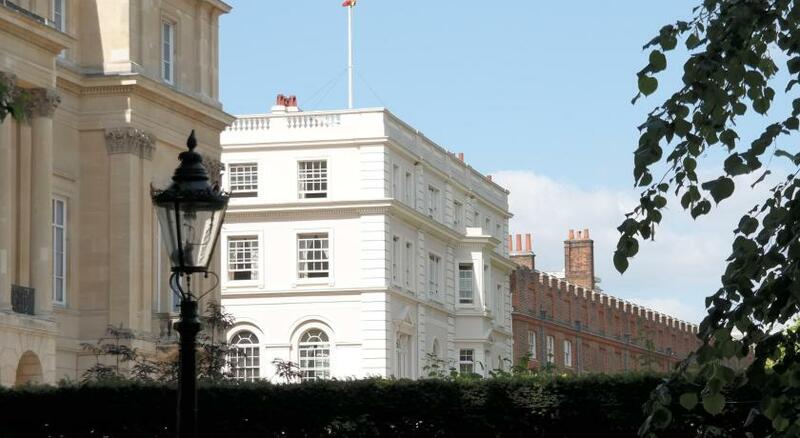 Many of London’s most famous landmarks are within easy walking distance of the hotel. 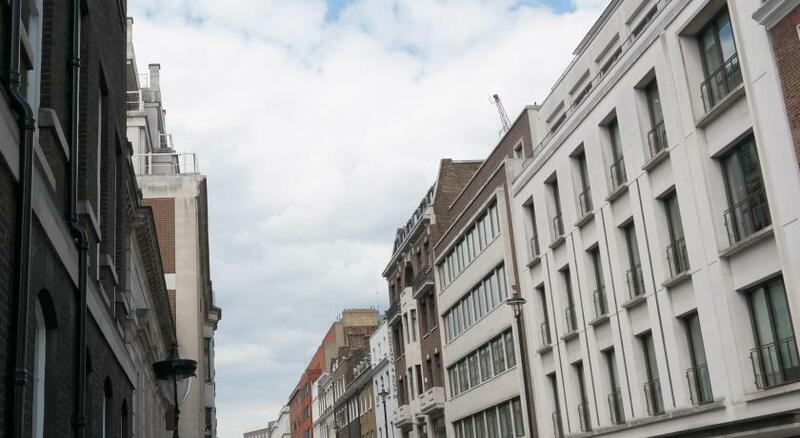 Piccadilly Circus, Buckingham Palace and the shops of Oxford Street are all just 10 minutes away on foot. Nightingale’s restaurant is open for breakfast and dinner, serving delicious food under spectacular chandeliers. Guests are able to relax with a drink in the bar overlooking Berkeley Street. The hotel has excellent transport links via Green Park Tube station, which is just 150 yards away. Victoria Rail and coach Station is just a few stops away on the Tube. This is our guests' favourite part of London, according to independent reviews. This area is also great for shopping, with popular brands nearby: Apple, H&M, Zara, Burberry, Cartier. Holiday Inn London Mayfair has been welcoming Booking.com guests since 31 Jul 2009. 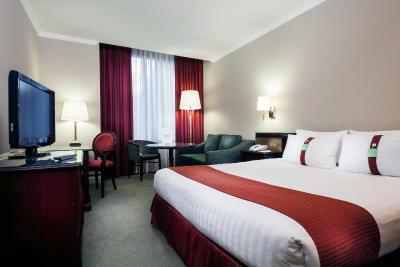 When would you like to stay at Holiday Inn London Mayfair? This air-conditioned room features en-suite facilities, flat-screen TV with satellite channels and tea/coffee making facilities. 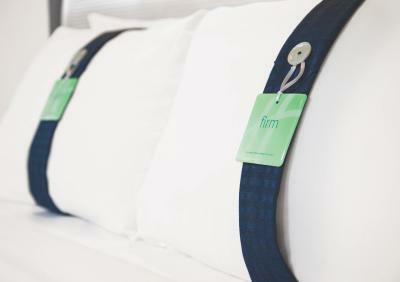 Guests can also choose from a pillow menu for their stay. Public parking is possible on site (reservation is not possible) and costs GBP 45 per day. This air-conditioned room features en-suite facilities, flat-screen TV with satellite channels and tea/coffee making facilities. 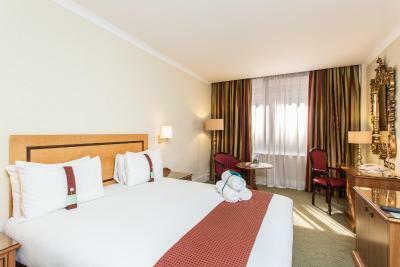 Executive rooms also come with the added extra of super fast free WiFi, Premium hot drinks refreshment amenities, complimentary still and sparking water in the room and 20% off food and beverage. Bathrobes, slippers, and a Bluetooth sound system. This room has a wider doorway for easier access and additional features including safety rails. This suite has a bedroom plus a separate living area. The room includes still and sparkling water, bathrobes and slippers, and a Bluetooth sound system with 37-inch flat-screen TV. 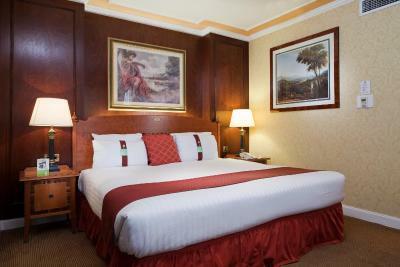 Our beautifully appointed guest bedrooms feature wireless internet and a host of amenities. You can dine in Nightingales, our contemporary restaurant offering views over Berkeley Street. Our hotel bar is perfect for a enjoying a drink with friends before heading out and exploring the local Mayfair nightlife. House rules Holiday Inn London Mayfair takes special requests - add in the next step! Holiday Inn London Mayfair accepts these cards and reserves the right to temporarily hold an amount prior to arrival. The hotel offers a special parking rate at the weekend, GBP 55 over 2 days. A weekend stay is defined as a Friday to Saturday or Saturday to Sunday stay. Tired look, need refurbishment. Old fashion bathroom, no European sockets, smelly corridors. TV is a bit old, needs more USB charging points.